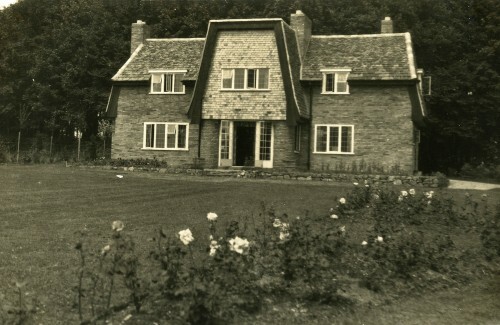 This house was built on Buddon Lane, off Chaveney Road in the early 1930s. It was first occupied by Leon and Norah Morley, together with Norah’s unmarried elder sister Jane Cundell. Jane died in 1940 and Norah moved from Quorn sometime after Leon’s death in 1961. This postcard was sent out as a Christmas card by Leon and Norah. The house has been significantly extended since it was originally built.